Want to learn more about Python for Microcontrollers and IoT? 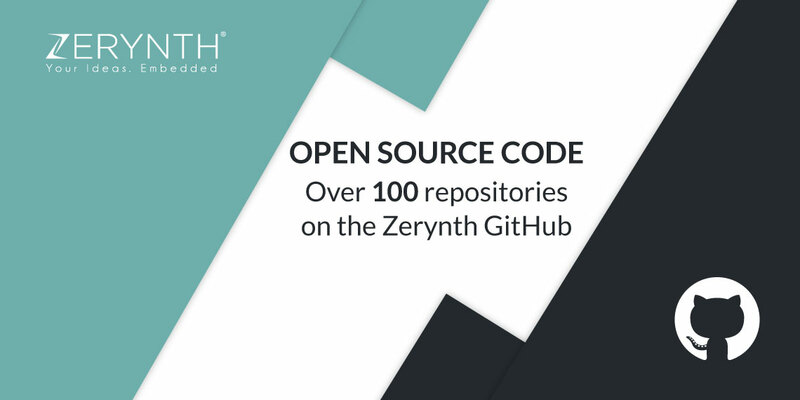 On GitHub, the world’s most popular code repository platform, you can find over 100 Zerynth repositories! Open source Python libraries for sensors and actuators, industrial protocols, cloud services and boards definitions – you will find them all neatly packed in one place. Read the rest of the post to find out what the additional features about the Zerynth-GitHub integration are, other than the time-saving feature of finding everything Zerynth related with one click. Do you want to share your project with the whole Zerynth community? Zerynth makes that possible in seconds. You can publish your projects as community libraries, that way everyone can install them with ease. To publish a project, select the “Publish” option for the currently opened project on Zerynth Studio to fire up the publish wizard. Learn more about the process from our documentation. The community libraries will be published in the relative section of the Zerynth documentation. Of course, Zerynth Studio also allows you to search and install community libraries created and published by Zerynth users with the process seen above. Just look for the puzzle icon in the left toolbar. From there you can install any library. It’s not puzzling at all. More info here. As you can see in this recent post, we decided it was time to allow you to create a custom Zerynth Virtual Machine for your own hardware solutions if they are based on already supported chips. Once compiled you can also export on GitHub the custom Zerynth Virtual Machine in order to share it with your team. You can do it in just a few clicks directly from Zerynth Studio. More info here. Last but not least, Zerynth offers you the option of storing your project in the Zerynth backend, in a private git repository. You can learn more about this from our extensive documentation. Download Zerynth Studio and pave the way to your own Python success story.